New York Gov. 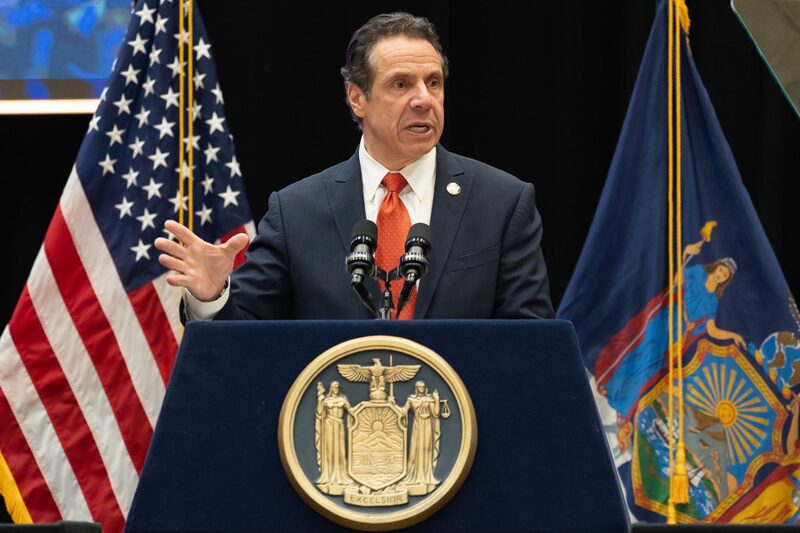 Andrew Cuomo said the recently passed state budget will include $18.6 billion for Long Island, the largest investment the region has ever received. Cuomo visited Stony Brook University on Thursday, April 11 to discuss how the money will be spent. About a third of the funding will go toward the Long Island Rail Road, with $6.6 billion set aside for various projects including $2.6 billion to build a third track. Cuomo also pledged to expedite construction on the long-delayed East Side Access project which would connect the LIRR to Grand Central Terminal. “This was announced by Mayor Lindsay and Governor Nelson Rockefeller and we’re going to finish this if I have to go down there with a shovel myself,” he said. Much of Cuomo’s speech focused on the burden Long Islanders face due to heavy taxation. He criticized the Republican-led federal tax reforms for placing limits on state and local tax (SALT) deductions. “What they did with SALT ending the state and local tax deductibility will cost Long Islanders $2.2 billion,” he said. Cuomo said he hopes the 2% property tax cap, which was made permanent in New York this year, will help make up for some of those losses. He went on to outline several infrastructure projects aimed at stimulating the local economy, including $10 million for downtown revitalization, $131 million for the Nassau Hub and $55 million for the Ronkonkoma Hub. Turning briefly to the topic of research and education, Cuomo said Stony Brook — along with several other universities in the area — could help make Long Island into the next Silicon Valley. The new budget includes numerous investments into the so-called “research triangle,” including $75 million to construct the Institute for Discovery and Innovation in Medicine & Engineering at SBU. “We have the academic universities and we are going to make the bridge to the commercial market,” he said. Stony Brook will also receive $4 million to develop a shellfish hatchery, as part of the state’s efforts to promote clean water in the area. The shellfish produced there will be used to help restore contaminated bodies of water back to a natural state. Other environmental initiatives highlighted by the governor include $1.5 million to build a clean energy, food waste recycling facility in Yaphank and $100 million to clean up superfund sites across the state such as the Grumman Plume in Bethpage. Cuomo closed his speech by touting his efforts to decrease spending. Over the past nine years he has increased annual spending by 1.5%, the lowest increase in state history. Cuomo compared his philosophy on spending to his grandfather’s wisdom about weight loss. Audience member Veronica Milano, who works for the government and community relations department at Stony Brook, said that she learned a lot from Cuomo’s speech. The protestors were there as part of the Green Light campaign — a movement aimed at passing legislation that would allow undocumented immigrants to get driver’s licenses. The protestors said that Cuomo voiced support for this idea during the primaries, but has not acted on it since. LIISA member and senior applied mathematics and statistics major, David Clark, said that the group originally planned to do a silent protest inside the venue, but they were shut down by campus police.